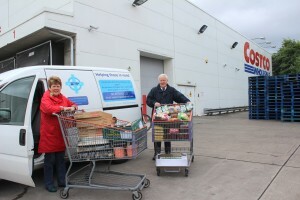 As his chosen President’s Charity for 2015-16, James Oliver of the North Warwickshire Circle of the Catenian Association has pledged his support for The SVP Birmingham Central Council Costco Food Distribution Project. 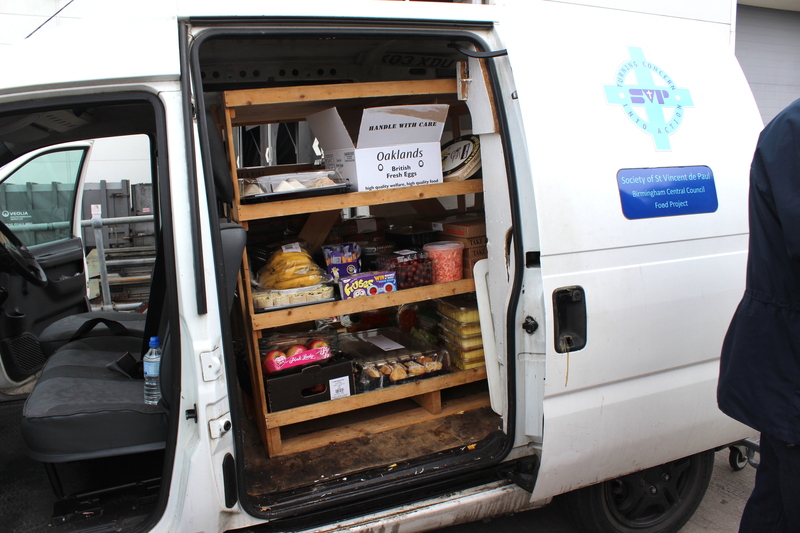 The project began in January 2012 and involves the collection of perfectly edible food due to be thrown away by a large food warehouse in the West Midlands, and its distribution throughout the area to community support organisations. Up to now the project has been funded by SVP Birmingham Central Council using money from a bequest, but this is now coming to an end, and alternative funding is required to keep the project operational. 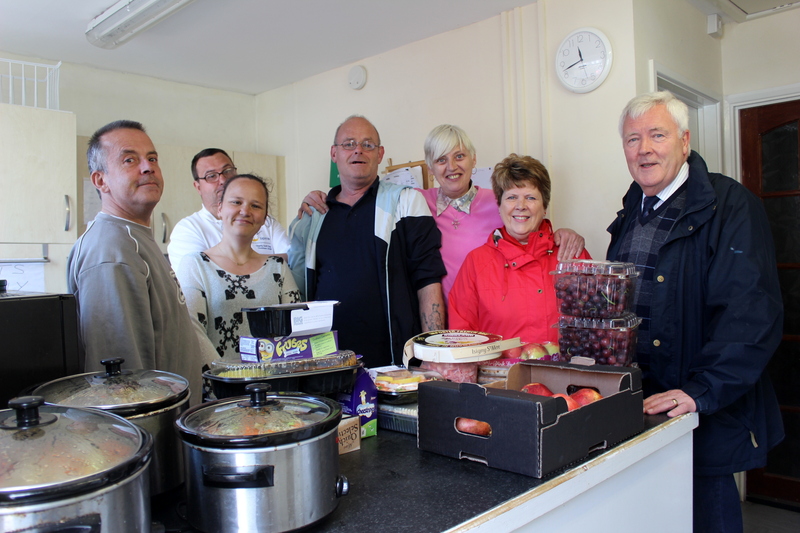 The food “shop” value distributed in a year is about £200,000, with over 1,000 people receiving food each week. Collections are made on 6 days a week, with around 30 ‘drops’ spread over a different set each day. The food was being dumped in skips before the project began. 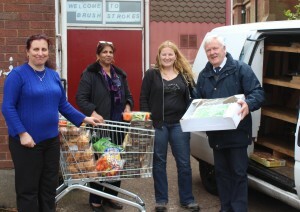 Community support organisations which benefit from the project include, St Chad’s Sanctuary, Siva Fireside, 6 x St Basil’s hostels, Brushstrokes in Smethwick, Centrepoint Free Church in West Bromwich, Good Shepherd in Wolverhampton, The Calvary Pentecostal Church in Newtown, St Vincent’s Need Support in Nechells and the “Solihull Welcome” Asylum Seekers Group at St Augustine’s Church in Solihull. 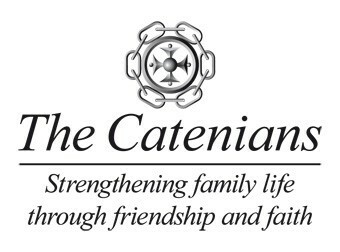 Several North Warwickshire Catenians and wives are extremely active in working with the St Vincent De Paul, by providing drivers and assistants to collect the food and distribute it to the various community groups. In total there are 24 volunteers with different drivers going out each day. The teams also include Anglicans, Baptists, Methodists and one Agnostic! 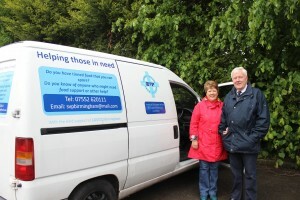 The funding needed is to cover the running costs of the delivery van only, as all other support is voluntary. Daily collections vary enormously both in quantity and variety. A pallet-load of pineapples, 80 kilos of sausages, 200 loaves, 150 croissants or the seasonal 30 haggis have all formed part of the mix! To help the project, as most food is perishable and dated, project has acquired two large chest freezers to cope with any surplus and to provide back up. To gain a better insight to the daily operation of the project, Bro Harold Hands joined Catenian volunteers Michael and Fionnuala Feery earlier this year in June on a typical food collection and distribution. 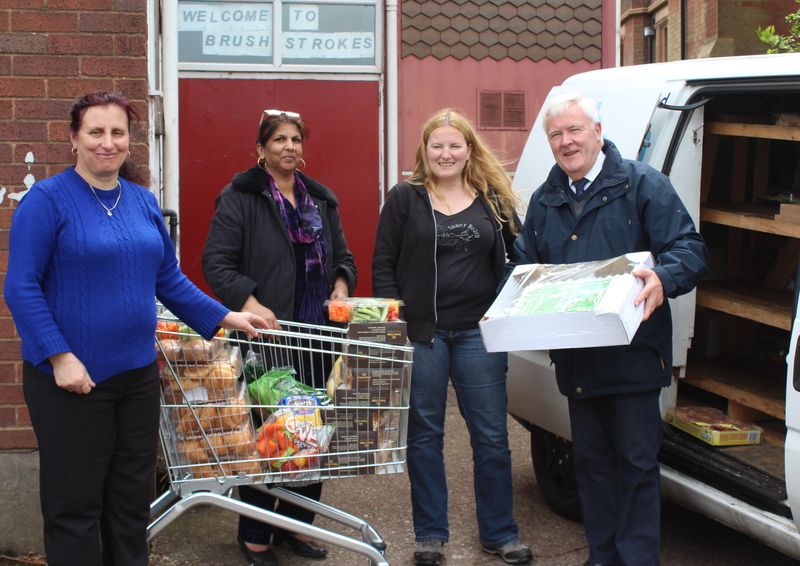 The following photographs show just one day’s ‘food run’ which included collecting the food from Costco and drop-offs to the Brushstrokes Project, Smethwick and Centrepoint, West Bromwich. This article has been sent for publication to “Catholic Today” and other media. Costco 10.51am. Collecting the food from the Warehouse. 11:00am. 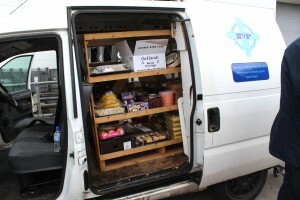 The van is packed with food ready for delivery. The Brushstrokes Project, Smethwick. 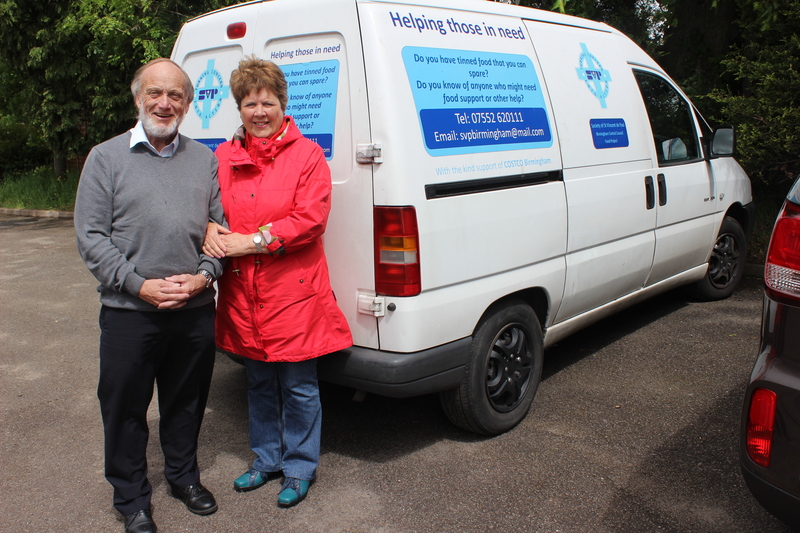 11.36am – providing practical help to the destitute, homeless and those in extreme poverty. 11:52am. 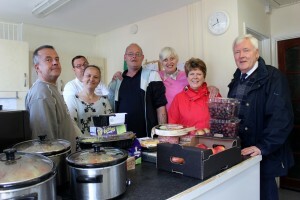 Centrepint Support Centre, West Bromwich – the daily soup kitchen. 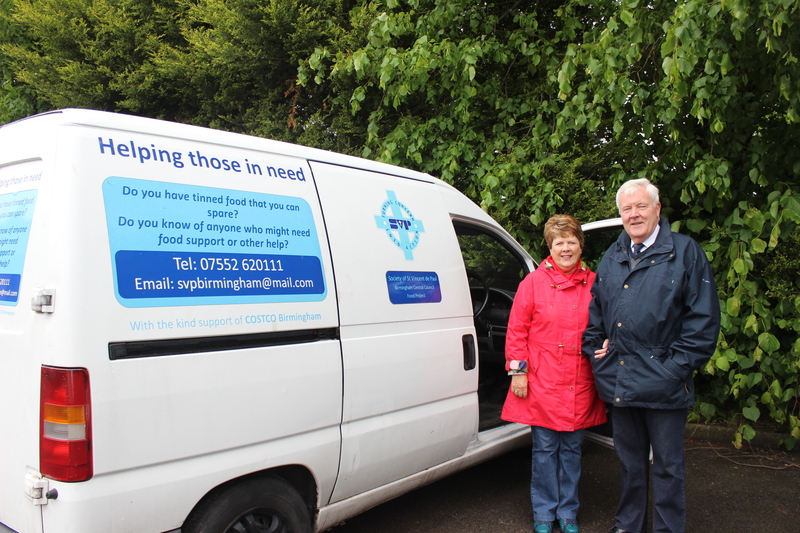 Back to St Columbans at 12.42pm after a delivery to the “Solihull Welcome” Asylum Seekers Charity.